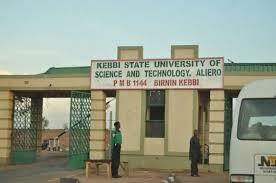 The Kebbi State University Of Science and Technology Aliero, KSUSTA Collection of Certificate Date, Time and Venue Notice to all 2010/2011 Graduates. This is to inform the Graduates of Kebbi State University of Science and Technology, Aliero that the certificates for 2010/2011 graduates are ready for collection. Collection Venue: - Academic Division -Thank you.